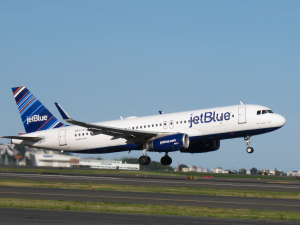 JetBlue Airways Corporation JBLU posted impressive traffic results for October, following which, shares of the company inched up 1.2% at the close of business on Nov 13. Traffic measured in revenue passenger miles (RPMs), increased 9.5% year over year to 4.06 billion. Consolidated capacity (or available seat miles/ASMs) also expanded 8.9% to 4.9 billion on a year-over-year basis. Load factor or percentage of seats filled by passengers improved 50 basis points (bps) to 82.9% in the month as traffic growth outpaced capacity expansion. The Long Island City, NY-based low-cost carrier registered a completion factor (system wide) of 99.4% with 78.8% flights on schedule. In the first 10 months of 2018, the carrier posted a 7.4% rise in RPMs while ASMs grew 6.4%, both on a year-over-year basis. Also, load factor rose 80 bps to 85.3%. The company’s fourth-quarter revenue per available seat mile (RASM) is still anticipated to increase in the range of 1-4%. Additionally, the carrier expects capacity to expand between 7.5% and 9.5% in the current quarter. Consolidated operating cost per available seat mile excluding fuel is expected to decrease in the 1.5-3.5% band during the ongoing quarter. Meanwhile, fourth-quarter fuel cost, net of hedges, is projected to be $2.48 per gallon. JetBlue carries a Zacks Rank #3 (Hold). 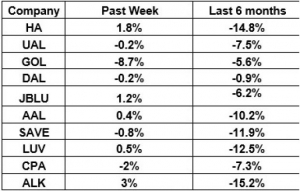 Some better-ranked stocks in the broader Transportation sector are Air France-KLM SA AFLYY, International Consolidated Airlines Group SA ICAGY and Spirit Airlines, Inc. SAVE, each sporting a Zacks Rank #1 (Strong Buy). You can see the complete list of today’s Zacks #1 Rank stocks here. 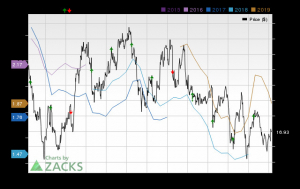 Shares of Air France-KLM have rallied more than 28% in the past six months while the same of International Consolidated Airlines and Spirit Airlines has gained more than 8% and 43%, respectively, in a year.